I must concede that if there’s one thing that brings people together more than food, it’s a great bottle of wine (best accompanied by nibbles, of course). 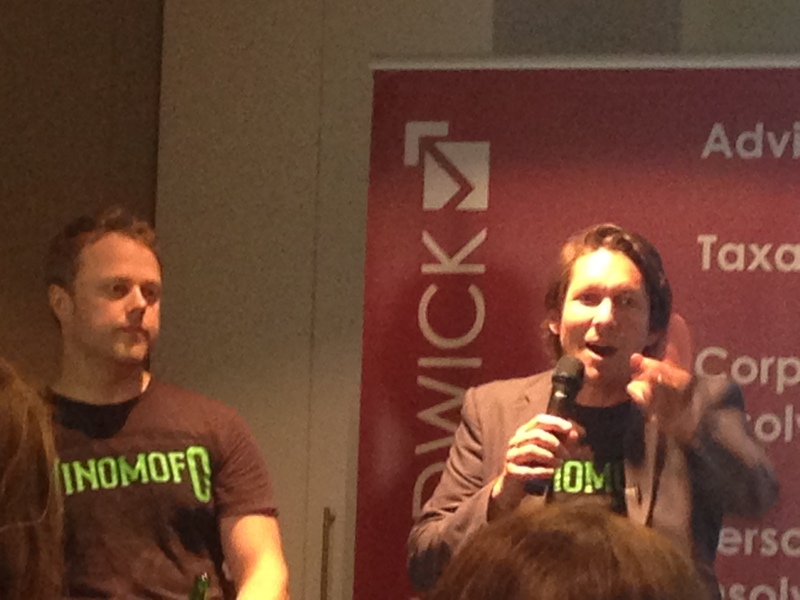 And if there’s a company that’s succeeded in creating a community around wine, it’s Vinomofo. Intrigued, upon visiting their website we were greeted by a grinning man with two fists defiantly making their website instantly cool. Vinomofo home page. Pretty sure this is Justin, the co-founder. Vinomofo is a group buying site for the best wines, targeted towards people who love great wines but don’t love the “wine wanker” culture that can often go along with it. It all started when two brothers-in-law, Andre and Justin, set up an wine-drinking forum, Qwoff, then traveled in a van all over Australia, filming their wine-drinking adventures. Along the way they built a tribe of loyal fellow wine drinkers who finally felt they had a voice aside from the “bowties and BS” of traditional wine forums. It was only after the co-founders came back from their epic trip that they decided to start a business. Selling great wines at epic prices for real mofos seemed a natural fit. Their already-established community, built through passion and authenticity, swiftly embraced their new direction. Weaving a community into the fabric of a company culture and staying true to the purpose of bringing people together while still building a profitable company is tough! Vinomofo has done an amazing job of nailing the crucial balance of community building and channeling their love of wine into a ridiculously successful business. 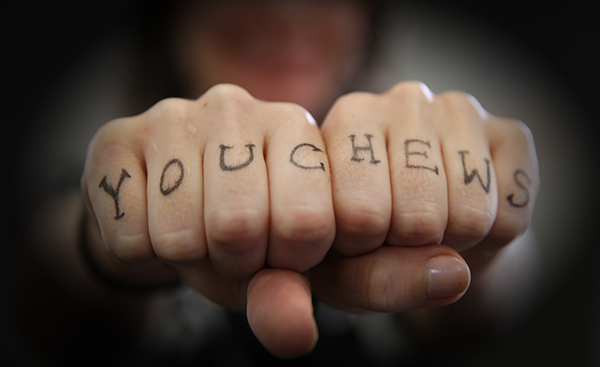 It’s an inspiring story, similar to You Chews’ own – I started You Chews because I wanted to connect people whose food I loved with the people I knew who wanted better catering to bring their own communities together over. Recently, I had the opportunity to hear Justin and Andre speak at a Startup Grind Sydney event about their entrepreneurial journey. Speaking candidly to an enthusiastic audience, they discussed the ups and downs of building a $30m business in less than 3 years. Upbeat and relaxed, they seemed to truly enjoy each other’s company. The crowd felt like we were just hanging out with two mates who happened to have had a great idea, ran with it, stuck it out when times were tough, and now were reaping the benefits. Chief Mofos Justin and Andre! After the talk, I again felt inspired and decided to speak to one of the co-founders. Trying to play it cool, I casually sauntered up to Justin – and promptly fangirl-ed all over the place. The next day I asked Andre and Justin a few questions via email about startups and community building. Andre quickly and generously responded with some info. What struck me about his answers was the common theme about how they connected with the people they met and wanted to build something for them. The secret sauce to Vinomofo’s success has been to truly care about and engage people over a common interest. 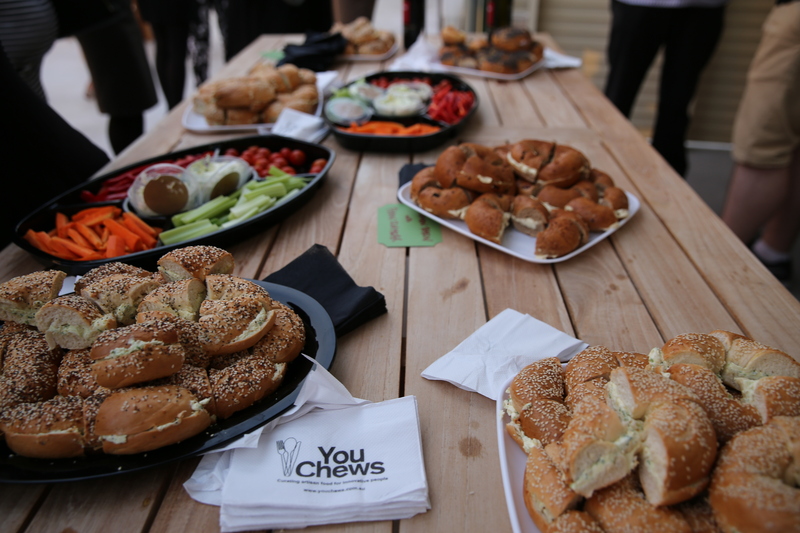 After a year and a half of being in business, here at You Chews we’ve learned that we’re doing more than replacing the typical mass-produced stale sandwiches found at most office lunches with curated, tasty food made with love. Myself and my team have tried very hard to make You Chews THE place where, if you’re gathering people together for a purpose, you can find awesome food to share and bond over as a community, making your event that much more special. Bagels with ‘Schmears and Beers. And wine, of course. 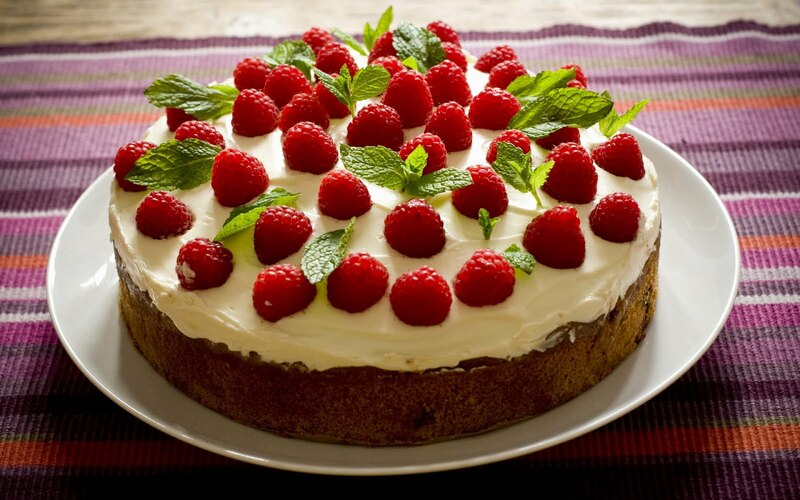 When you bring others together for a common purpose or interest, you’re building a community, which can lead to amazing things – like a catering marketplace where you can get the best of the local Sydney food scene to feed your team lunch at your office, or a crazy amazing wine buying site at awesome discounted prices. It can be a special team lunch “just because” to show your staff you care – such a seemingly small act can have a massive impact on company morale and makes valuable employees feel like they are part of the team. Fostering a forum for a common purpose that brings passionate people together, whether it’s the love of wine or a tasty meal you share together, is the first step to building your community. Want to learn more about Vinomofo? Visit their awesome site here. Special thanks to Justin Dry and Andre Eikmeier for their generous contributions to this post!